We are a small, family-run Breeder located in Charlotte, North Carolina, owned and operated by Michael and Beth. We Breed the Modern Day Bulldog, Bulldogs of today! We've been breeding Bully Breeds since 2000; breeding is our hobby and passion, and we do ship to families all over the country & world. Our foundation is based on honesty, trust and commitment to the breed. Our bulldogs have a distinct look and are bred for consistency and type through our philosophy of selective breeding. We breed for temperament, health, correct conformation and capability, with rare and exotic colors, such as Blue tris, Black tris, Chocolate tris, Lilac tris, Blue fawns, Blues and Black/Seal. Our philosophy is to breed the best to the best, consistent with our line and temperaments; to concentrate on quality, not quantity. We take pride in our bulldogs and our program and set forth a plan, and we will not compromise the integrity of our bulldogs by taking shortcuts. All of our breedings here at Carolina’s Blue Bulldogs are unique and have been thought out, researched, and planned to produce the best-of-the-best with the intent to eliminate defects with an occasional approved outcross. We make sure that all of our bulldogs are in excellent health and in top condition before being bred. We put all our bulldogs on daily exercise routines based on individual personalities and drive. As early as the 1800s, as time has revealed, bulldogs are extremely loyal and devoted to ones family. The bond between bulldogs and children is inseparable and superior to many breeds. A Carolinas Blue Bulldog will make a great companion and a wonderful addition to any home. 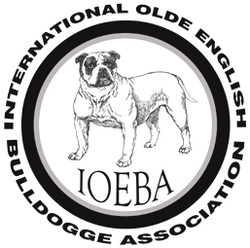 Dedicated to this very special breed, we are always willing to share our knowledge and experiences with new breeders or bulldog lovers. Our bulldogs are first and foremost a huge part of our family. They live inside our house and play in their very own yard. They are never on cables or in chain link kennels. They run freely and are supervised at all times. All Carolinas Blue Bulldogs and puppies come with their health certification, all vaccinations, are fully wormed, and offer a one-year health guarantee. Our puppies are observed by us and receive all the love, attention and socialization required at their young age, preparing them to become very healthy and obedient bulldogs. We want all of our pups to go to good and responsible homes where they will live happily with their new families. All potential buyers will be screened thoroughly! We hope that you enjoy our site. If you have any questions, please do not hesitate to contact us. Thanks so much. "Class and Prestige aren't expensive they are priceless as is a Carolinas Blue Bulldog"